Every now and then we feature fabulous new products in Inspirations that make you stop everything you are doing and pick up your needles and stitch. 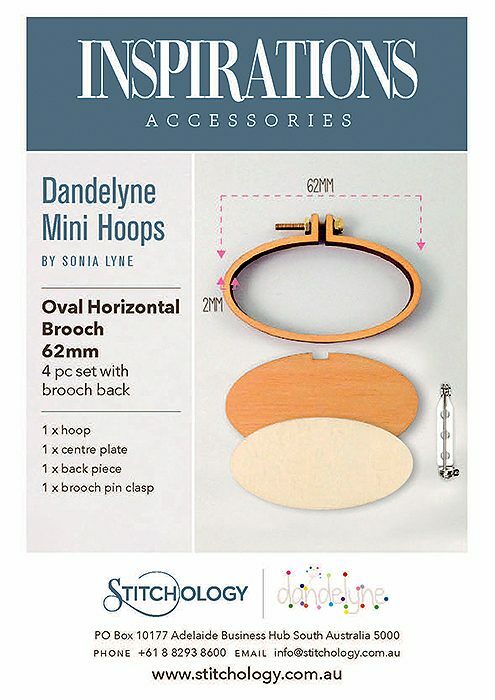 Dandelyne™ Mini Hoops are just that, tiny replicas of the real thing that are just begging for you to stitch something to put inside. 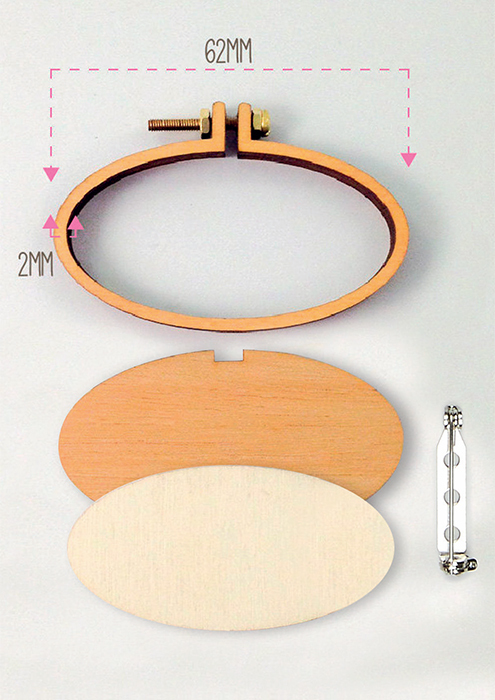 It can be as simple or as complex as you like as long as it’s small enough to fit! 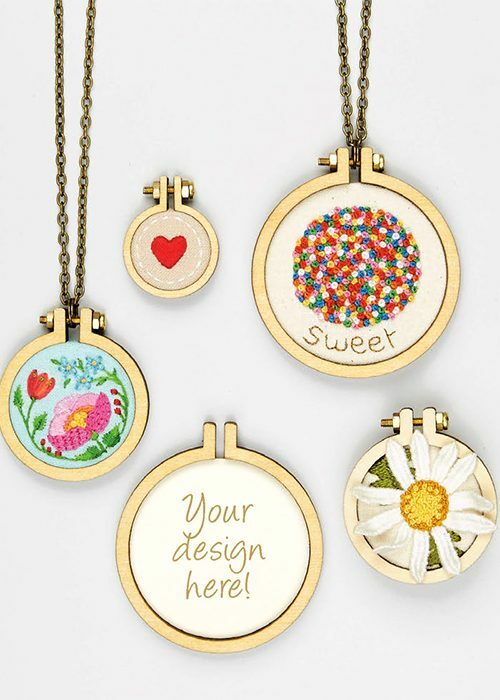 Dandelyne™ Mini Hoops come as either a wearable brooch or can hang from a chain so that you have a perfect, personalised piece of embroidered jewellery. 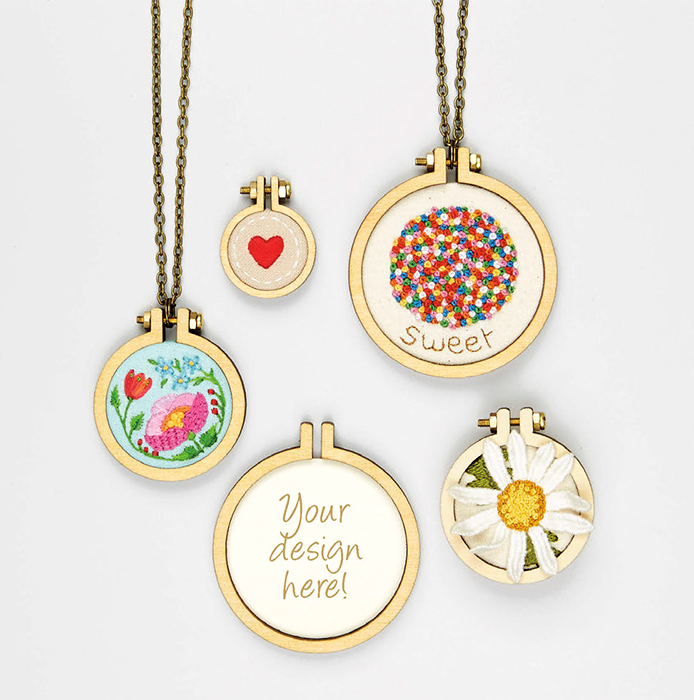 Each hoop comes with an insert, backing and brass nuts and a bolt to create a beautifully finished piece that you will love to wear – all you need to provide is a little bit of imagination and the needles and thread for the embroidery. The Brooches comes with a pin clasp to glue on the back and the necklaces includes premium quality bronze chain complete with jump ring for ease of re-sizing.